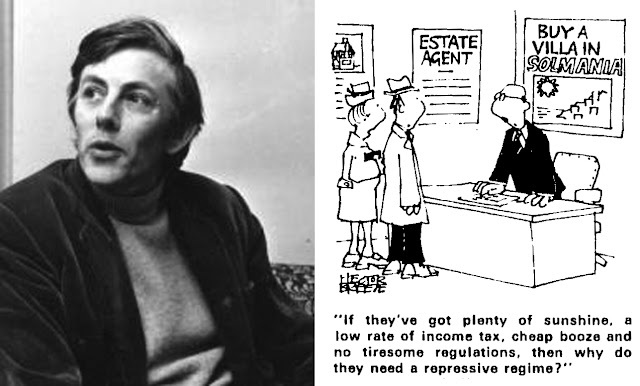 Cartoonist Hector Breeze died in December 2018, shortly after his 90th birthday. Rupert Besley, writing on the Professional Cartoonists Organisation website, says, "Hector Breeze developed what was surely the perfect cartooning style for the kind of pocket-sized gags he churned out so prolifically and successfully over so many years (since the late 50s). With their robist lines, economy of detail and strong use of solid blacks, HB cartoons were instantly recognisable as his and stood out a mile off as funny. Central to them were his stock characters, ever charming, ever bewildered. Tramps, army chaplains, oddballs, kings. You had to warm to them. 'Gentle humour' is a damning phrase, usually coded for 'not funny'. 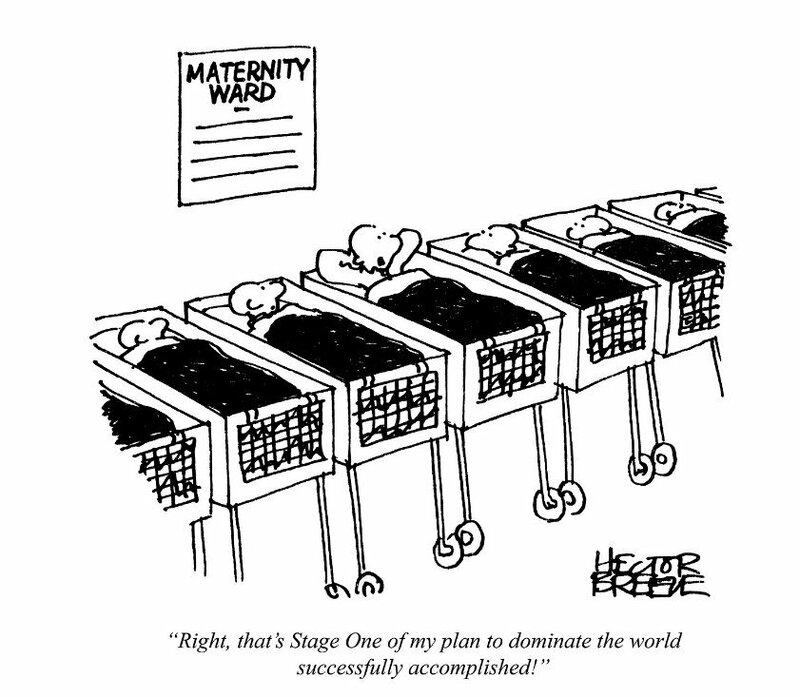 Hector Breeze cartoons were never savage or angry, but they were funny. Damned funny." In 1996, Ralph Steadman wrote in Art Review that Breeze's "clumsy, bewildered characters restore my faith in the seriously daft." Pete Dredge, naming him his favourite cartoonist in 2011, described him as "A master of the pocket cartoon. Out of the mouths of the mundane, benign, chunkily drawn characters comes the sharpest of captions." Ian Banx picked the following cartoon from Punch as one he loved on Breeze's 90th birthday. Hector L. Breeze was born in London on 17 November 1928. He was educated at Dartford Technical College and found employment in a government drawing office, studying art at evening classes. He sold his first drawing to Melody Maker in 1957. Breeze subsequently worked in advertising while selling cartoons to Punch, Evening Standard, Daily Mirror, Daily Sketch, The Spectator and the Guardian letters page. He sold his first cartoon to Private Eye in 1963, and continued to sell to them regularly for three decades. In 1973 the magazine published a collection of 100 of his best jokes in Private Eye: Cartoon Library 2. Breeze was also a contributor to The Hamlyn Cartoon Collection (1978) and illustrated Terry Wogan's The Day Job (1981). Breeze featured in a one or two minute item on The Roy Hudd Show for Yorkshire TV (1969) and appeared on Quick on the Draw in the 1970s. He became the Daily Express's pocket cartoonist in 1982. He was awarded the CCGB Feature Cartooist of the Year in 1984 and 1985 and was voted Pocket Cartoonist of the Year in the Cartoon Art Trust awards in 2004, but was sacked by the Daily Express six months later in 2005. One of his hobbies was letter-carving in stone. Breeze lived in Hastings, Sussex, before moving to Kirkby Stephen, Cumbria, in the mid-2000s. He is survived by his wife Johanna (nee Bywater), whom he married in 1960 and sons Alexander and Julius.